2016 Race ‘N’ Roll 5K Registration is Now Open! Visit our race website at http://www.coloradofmd.org/race/ to register and for details of the 2016 Race ‘N’ Roll 5K! Winter 2015 CFMD Newsletter posted! The Chesterfield observer mentioned our awarding the first CFMD grant! The Midlothian-based Colorado Fund for Muscular Dystrophy will hold a Race ’N’ Roll 5K fundraiser on Saturday, Aug. 8, 9 a.m., at Our Lady of Lourdes Church, 8200 Woodman Road, Richmond. Held in conjunction with the Richmond Filipino Festival, the event will raise funds to provide financial help to families with members who suffer from muscular dystrophy and to sponsor children to attend the annual Muscular Dystrophy Association summer camp in Wakefield. The nonprofit Colorado Fund is named in honor of Midlothian native Aileen Colorado, who died in 2011 from complications related to muscular dystrophy. August 8, 2015, the morning of the Filipino Festival in Henrico County, racers will begin and finish the race at the festival grounds of Our Lady of Lourdes Church, with the delicious smell of Filipino foods in the air. Racers will enjoy fresh, hot Filipino egg rolls at the end of the race plus other prizes, food and cultural entertainment at the festival. 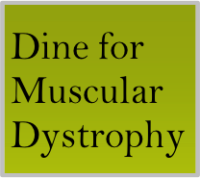 The Colorado Fund for Muscular Dystrophy (CMFD) was established in honor of Aileen D. Colorado, a Midlothian native who passed away from complications of pneumonia in May 2011. Diagnosed with Muscular Dystrophy since birth, Aileen chose a career of advocating for disability employment, despite her own physical limitations. Because of your support, the Colorado Fund for Muscular Dystrophy was able to send a child to MDA summer camp this year! Check out the featured story below that aired today on WTVR Channel 6 on local news! Be sure to register for the Race ‘N’ Roll 5K on August 9, 2014 to help send another to camp next year!